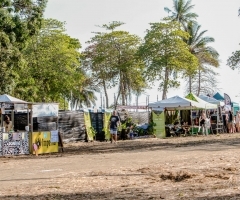 Costa Rica's hottest festival had begun, with Day One Jungle Jam underway! And, let us assure you, the music wasn't the only thing that was fire! 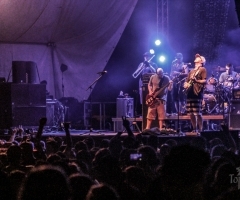 Reggae lovers from around the globe converged in the small beach town of Jaco, Costa Rica on Friday, March 10th to enjoy a cool evening of music following a day of having fun in the hot, hot sun. Matt Carey and Agents of Vibe entertained early birds through the gate, with a set leading up to the first act. 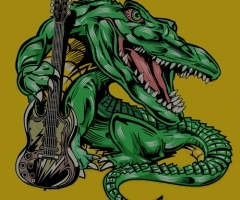 And, at 4:20pm on the dot, Jungle Jam 2017 officially started with Slightly Stoopid's side project Organically Good Trio kicking off the mainstage. Santos y Zurdo followed on the adjacent side stage, continuing the good vibe as the sun set. HIRIE continued the party after dark, with a performance full of energy and exuberance. Ryan Montbleau stole the show as a solo act, leaving the crowd in stitches for Fortunate Youth... which, at that point, things got quite literally hazy from the smoky humidity. The Fortunate Youth boys delivered a solid performance, leading into one-man band Zach Deputy. That man can make so many sounds at once while sitting in a chair. Incredible. 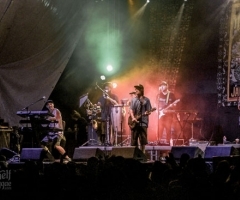 Headliners Thievery Corporation exploded onto the stage, overflowing with charismatic rhythm and earthy trance vibes that were right up each festival-goer's alley. If there was ever a doubt from a Jungle Jam attendee en route to the 7th Annual, it was immediately eliminated the minute the music started on Day One. Satisfied, some left to call it a night; others didn't crawl into bed until the sun had returned in the sky. The jam in the jungle was upon us. See highlights from Day One above, and watch for Day Two and Three galleries to follow.